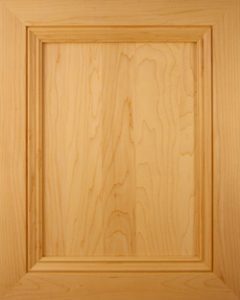 Custom millwork projects for residential, commercial and office sites throughout the GTA. 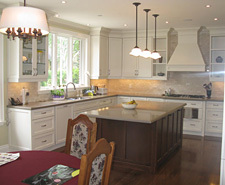 Established in 1989, Highgate Kitchens is a Toronto-based, second generation family- owned and operated business. The company’s founder, Joe Palladino, remains actively involved while responsibility for day-to-day management and operations resides with his son and company President, Lee Palladino. As our name suggests, the firm’s primary focus is the design, manufacture and installation of customized mid to high end kitchen cabinetry. We also have considerable experience in custom millwork projects for residential, commercial and office sites throughout the GTA. At Highgate Kitchens, we offer our new and existing clients a wide variety of quality products, services and suppliers to choose from. What sets us apart, according to our clients, is our hands-on approach to customer service. Consultation: Our projects generally begin with a no-cost/ no obligation on-site consultation to determine the scope of the project, identify general requirements and familiarize ourselves with the physical space. Based on our experience we will advise on material, hardware, accessory and finish options. We can generally provide a rough estimate of costs and turnaround times at this stage.